Coke and Pepsi have had a battle for being the most favorite beverage brand since the 70’s, and both have always strived to jump onto any opportunity which may increase their own market-share. From youth excitement, to sporting celebrities; Coke and Pepsi continue to be rivals, on and off the marketing domain. However, a recent stunt by Coke, who has usually targeted SEC-A and SEC-B, has left the folks at Pepsi, in a state of awe and despair, possibly. I am indeed referring to the genius fusion of classical eastern and contemporary western music, packed in captivating episodes for TV, perfect media spots, social media engagement, and attractive merchandise; the genius that is, Coke Studio! Coke has always been a brand associated with youth, excitement, happiness and liveliness. To come up with such a holistic stunt like Coke Studio; must have given the marketers at Coke a few sleepless nights. The marketing gimmick that started about 3 years ago, has become garnered itself a very strong following in its short life. 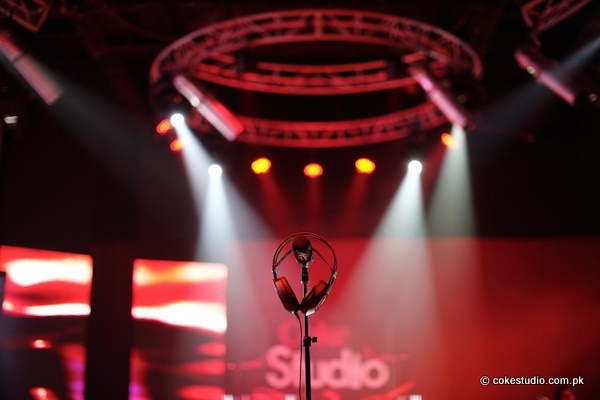 Coke Studio is a first of its kind show in Pakistan in terms of live fusion musical jam sessions, and the credit of course goes to the genius of the one and only Rohail Hayat – who got the brand involved in this venture and then made it work to a truly inspiring show. Inspiring because of the creative genius that just oozes from the show. Rohail Hayat and Coke have successfully made Coke Studio not just a hit, but a massive hit in not just Pakistan, but all over the world. A country which seriously lacks for most of the time in the advertising and promotional areas in terms of creativity and imagination, something like Coke Studio stands out and creates instant fan following. And what does coke get? A nice and comfortable spot in the consumers’ minds! For music lovers it is an absolute treat to watch the musical masterminds of Pakistan getting together to create great compositions which truly mesmerize you. The likes of Strings, Fuzon, Noori, Ali Zafar, Mekaal Hassan band and of course the constant presence of Gumby on the drum sets and then what follows is musical genius. In the recent times where concerts and gigs have started reducing in number considerably because of the ever increasing security concerns, Coke Studio offers music lovers a look at raw genius. The fusion of sounds, instruments and style, is absolutely fantastic. Through Coke Studio, Coke is specifically targeting teenagers and youngsters; or basically consumers who are into popular fusion music, by associating itself with music. Another friend associated with mainstream print media, YK, beautifully summarized it, "Coke has successfully made its brand association in the minds of the consumers as a "cola" to be enjoyed during "good times" with friends. This is also in sync with Coke's brand image globally as a brand that has been involved in promoting music, sports as well ‘slice-of-life’ activities like eating out and washing it down with a coke!" 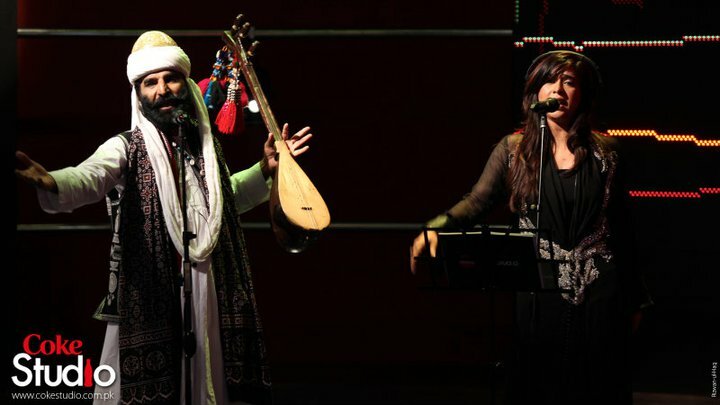 In Pakistan, Coke Studio is aired on almost all major channels, in fact according to a recent Wall Street Journal story, Coke Studio is being carried by 27 channels, including regional Sindhi and Pushto-language channels, where entertainment tends to be more orthodox. This gives it a universal audience by raking in popular folk artists in recent years like Arif Lohar and Sanam Marvi to lesser known Sufi groups. Coke has made a pretty decent attempt to indluge in building positive PR for Pakistan by showcasing the "enlightened moderate" side of Pakistan and Islam, which is one of the core beliefs of sufism, besides promoting that school of thought through the western music scene in Pakistan. The website is an absolute first in Pakistan as well, offering full length episodes and songs legally for downloading by the viewers, besides latest pictures and wallpapers as the show progressed. The website provides visuals that are reminiscent of the atmosphere in the studio session, the homepage is a good balance of easy to load visuals, and there is a blog- like feel to it as well. Coke Studio ties in social media to enhance its strategy towards a 360-degree marketing venture. By the strategic use of ‘Consumer Generated Content’, the use of popular social media such as Facebook, Twitter and Youtube, proves to provide a more interactive experience to viewers and fans alike, wherein they can post their feedback through comments, "likes" and tweets, giving coke and the producers instant and honest feedback and a pulse of the viewers from all over the world. The show’s Facebook page has about 340,000+ fans, and the mega-hit song “Alif Allah Chambey Di Booty” by Arif Lohar and Meesha Shafi, has recorded more than 531,537 views on YouTube since June’10. It is popular in both India and Pakistan where the netizens can’t seem to get enough of it. An example on how successful Coke was in leveraging the power of the internet through an interactive site and social media, is how popular the show has become in India and amongst desis globally through word-of-mouth. Since music is a universal language, non-desi friends of desis abroad have also picked up on the show! “The production value of the show, which is at par with any international live jam show, along with the constant subliminal red & black coke signage intergrated into the set design, makes an impact at a subconscious level, atleast ‘compelling’ a viewer like me to have a coke while watching the show!”, stated YK, having a keen and enthusiastic interest in Pakistani music. The ATL and BTL (billboards in particular) compliment each other beautifully, literally heightening people's interest in the show weeks and at the time of season 3, even a year before the next season! The promotion of artists a week before the episodes, through ATL and BTL activities, heightens one's curiosity on what to expect the next week. Following the airing of an episode, one can easily witness hundreds of updates and ‘tweets’ on Facebook and Twitter regarding feedback on songs, artists, as well as musical instruments being used! This has become not just about music, but it is making people talk about Coke on forums where they are strictly personal and comfortable! Recent research even shows that sales of Coke have picked up in recent years, amongst its target market in Pakistan, and Coke Studio has had a major role in it since it rejuvenated the brand's presence in the Pakistani market, creating a profound market awareness. The songs are repeatedly being played all over, in cafes, in cars and at parties, which continue to create a ripple-like effect in terms of brand recall for Coke because of its distinct content quality. Coke has gained significant market share at Pepsi's expense, according to a report in the Wall Street Journal. While Coke now claims 35% of all cola sales in Pakistan, Pepsi's market share is now down to 65% from a high of 80% in 1990s which was achieved mainly through sponsorship of cricket in Pakistan. 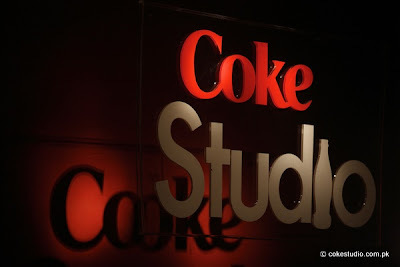 Coke Studio is multi-dimensional, it is unique and remarkable, it has extremely good production, and is very Pakistani; but the best part is, it does NOT feel like a desperate advertisement! 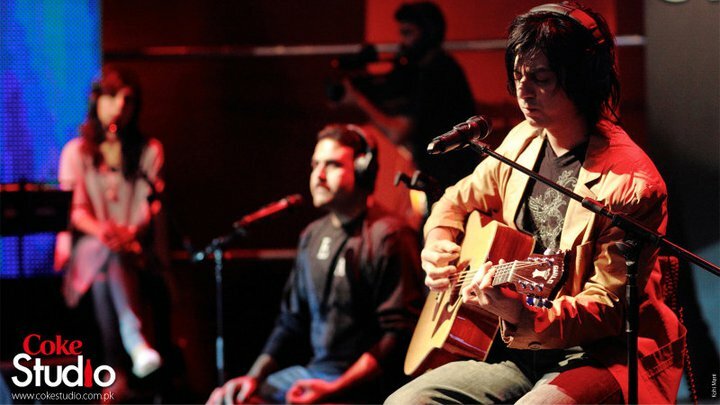 The music is genuinely engaging, which has transformed Coke Studio in a league of its own. Till the airing of the next season of Coke Studio, lets chill by drinking down a ‘coke-studio branded’ can of coca-cola, shall we? * This was also published in an academic magazine focusing on Media in November'10. * Sources/ references: Cokestudio website, some other forums. awesome! awesome ! awesome work boi!